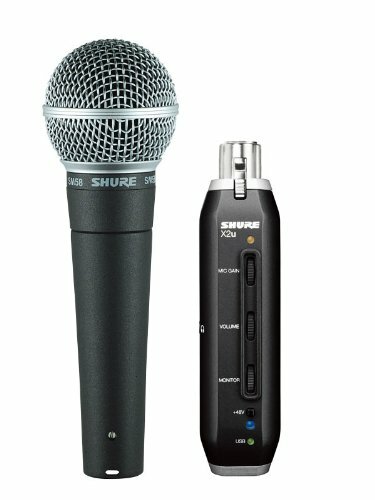 The Shure SM58-X2u readies you for recording, packing in Shure's famous SM58 vocal microphone with the useful X2u XLR-to-USB adapter. A perfect all-in-one solution for recording vocals, the Shure SM58-X2u takes the pain out of an audio interface - just plug it into your computer and you're ready to go. You can even plug a set of headphones into the X2u, so you can listen to tracks as you record a vocal line over the top of them - the X2u included in the Shure SM58-x2u works with any XLR microphone.